Whether you’re flying newly solo or just testing your wings for the first time, traveling alone can be a real treat. Seeing the world at your own pace and discovering the places you’re most interested in, unbeholden to the schedules and whims of others, is a powerful experience. There’s a big world out there, full of beautiful, safe places — not to mention incredible people on similar journeys — just waiting to be discovered. Here are seven of the best destinations for new solo travelers to get their feet wet and catch the solo travel bug. Vietnam may seem like a far stretch for the first-time solo traveler but its distance shouldn’t be a deterrent. This vibrant country is a regular stop on many a backpacker’s list, which means you will likely run across, and befriend, many other travelers from around the world. People come to Vietnam for its geographic diversity, a mix of cultures, friendly people, and incredible food. It’s relatively easy to get around the country. In cities, it’s just as easy to catch an Uber as it is a tuk-tuk. Hanoi is a preferred spot to begin your travels. It has great shopping, nightlife, and the food scene is exciting enough to have attracted one of popular culture’s most memorable “dates”: Anthony Bourdain and Barack Obama, getting to know each other over steaming bowls of Bun Cha. From Hanoi, it’s easy to explore the rest of the country. One popular option is traveling east to Ha Long Bay for a cruise through the emerald waters surrounding its famous karst formations. To see the countryside, many choose the train. The old school Reunification Express runs from Hanoi to Ho Chi Minh City, a 30-hour trip through stunning mountain ranges, rice paddies, and beautiful beaches. Another option is booking one of the many personalized tours through the country, such as the 10-day Vietnam Express, which follows the same route but with stops along the way. While petty crime, such as pickpocketing, does exist, if you’re smart and aware of your surroundings, you’ll be fine. Instead, focus on the sights, sounds, and smells of this country and you’ll be glad you made the journey. 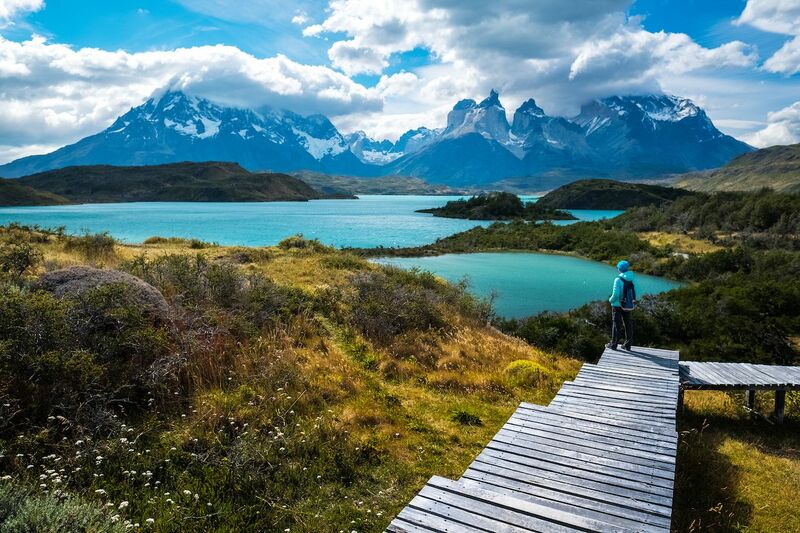 From the wilds of Patagonia and the Atacama Desert to award-winning wineries and skiing in the Andes, there is something for every kind of traveler in Chile. The lure of such adventures, as well as its reputation for safety, are what make Chile a popular destination for first-time solo travelers. Though it’s a large and long country, it’s relatively easy to get around. In large cities, such as Santiago, Uber is a standard method of travel and there are plenty of places to see including La Chascona, one of Nobel Prize-winning poet Pablo Neruda’s homes, or the Museo Chileno de Arte Precolombino, widely regarded as one of the best museums in Latin America. If you want to opt for a more extensive, DIY trip to the north or south, Turbus is a reliable and inexpensive option. Booking an organized tour is also a great way to see all the sights Chile has to offer. Chile has a huge hostel culture and it’s easy to find reasonably priced single rooms, which range from basic to luxe. It’s is a great way to meet fellow travelers so your solo travels in Chile may not last for long. New Zealand attracts solo travelers like ants to sugar. 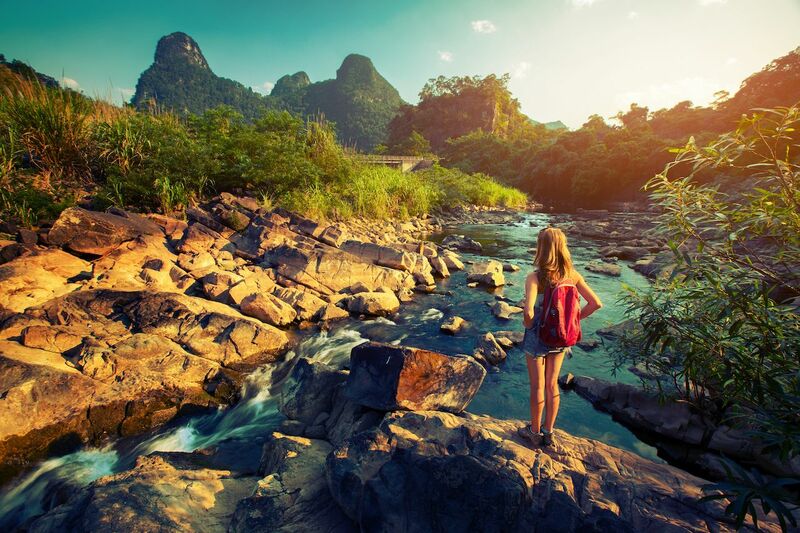 As a whole, the country is safe, affordable, easy to get around, and the locals are “tu meke” — Kiwi slang for “too good.” The most danger a first-time solo traveler is likely to encounter is the kind you signed up for: the rush of an extreme outdoor adventure. Auckland, on New Zealand’s North Island, provides a good jumping off point for a solo adventurer. It has vibrant nightlife, art galleries, museums, beaches, and hiking. A 35-minute ferry ride from downtown takes wine lovers to Waiheke Island, known as the “island of wine.” Also off the coast lies Rangitoto Island, a dormant volcano with hiking trails and lava tubes. It’s accessible by ferry or by kayak with sunset kayak tours being a popular option. Other adventures include surfing at Piha Beach or bungee jumping from Auckland’s tallest structure, the 1,076-foot Sky Tower. In town, activities are just a tiny taste of New Zealand’s sights. There are many organized tours for first-time travelers but it’s relatively simple to plan your own as well. Driving tours are very popular and the legendary “backpacker bus” goes just about everywhere — from beach to glacier — and you can hop on and hop off wherever you like. There are no shortages of options: glowworm caves, Lord of the Rings movie locations, glacier hikes, kayaking, and whale watching, just to name a few. 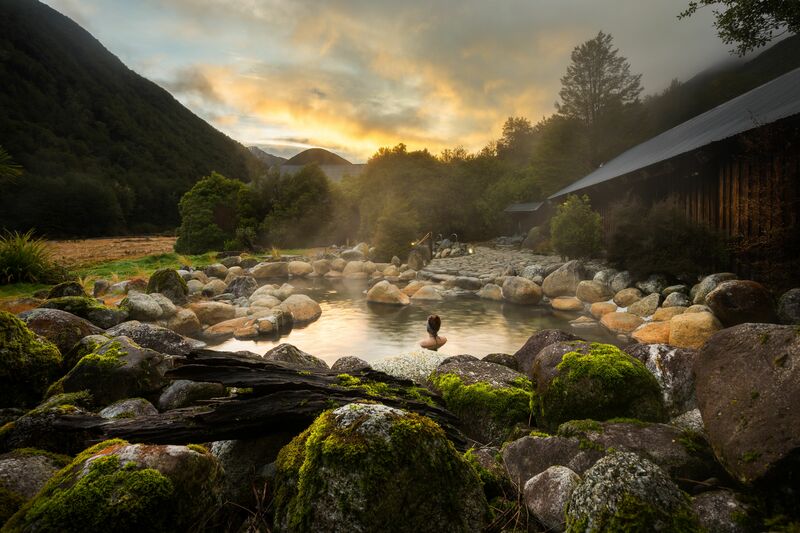 With the amount of other first-time or solo travelers sharing a passion for adventure in New Zealand, it’s likely you’ll end up hopping off to places you never expected. It’s hard to just say, “visit Canada,” because it’s a huge country — the second-largest in the world. Working west to east you have the coiffed British gardens of Vancouver Island and the Asian-influenced adventures of Vancouver, the craggy Rocky Mountains of Banff, the wilderness of Saskatchewan and Manitoba, massive Toronto, gothic Montreal, and rustic Nova Scotia and Prince Edward Island. Canada is extremely safe as a whole, though in large cities solo travelers will do well to be as attentive about their personal safety as in any other metropolis. Rather than trying to conquer the entire country, a good idea for those traveling on their own for the first time is to pick an area of interest and concentrate travels around it. British Columbia is a great example. Using Vancouver as a home base, it’s easy to hop a ferry to Vancouver Island for whale watching, have high tea at the Empress Hotel, or stop to smell the roses in Butchart Gardens. Vancouver itself is a cacophony of sights and smells. Robson Street is a popular shopping area and a short walk to the culinary adventures of the bustling Chinatown. Lovers of the outdoors won’t want to miss the trails, totem poles, and downtown vistas of Stanley Park. It’s easy to arrange transport out of the city as well. 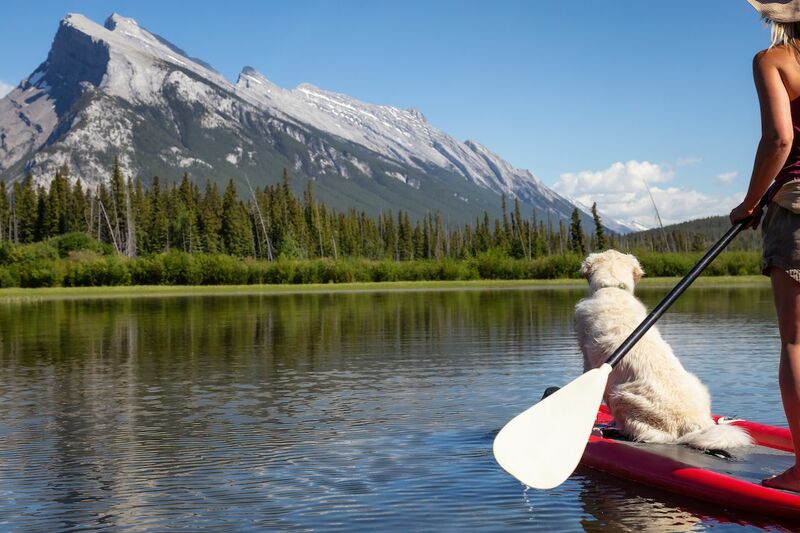 By car or bus, the Fraser River Valley is popular for river rafting and makes for a great stop on the way to the famous wineries of the Okanagan Valley. With so many sights to see and people to meet along the way, you’ll be so busy you may just forget you’re on your own. Costa Rica is great for a first-time solo traveler: safe, scenic, and well-traveled by other adventurers. Unless you’re specifically looking for solitude, you’re probably going to make friends within minutes of arriving at popular towns such as Montezuma, Tamarindo, Puerto Viejo, and La Fortuna. Gray Line tour buses are an easy and affordable means to move around the country and, thanks to the influx of solo travelers, affordable single rooms are standard at many Costa Rican hostels. While many head to the beaches for surf classes, sailing, fishing, and diving, you can arrange tours that head deep into the lush jungle or onto the steaming flanks of the famous Arenal volcano. 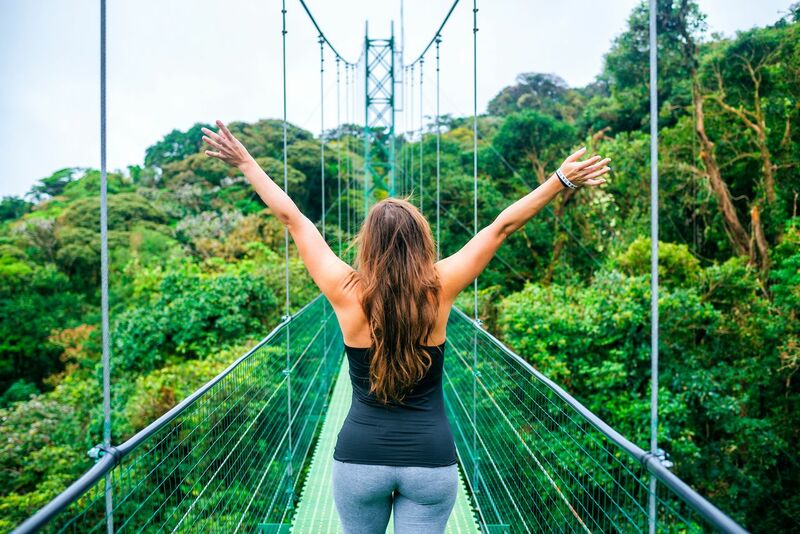 Other options include visits to sloth sanctuaries, butterfly parks, cloud forests, and even taking inner tube floats down rivers warmed by hot springs. It isn’t what you’ll do in Costa Rica, it’s what you’ll have time to do. Plan to arrive with a firm grasp of Japanese customs, and a willingness to learn, and Japan will reveal itself as a truly friendly destination for a first-time traveler. The country prides itself on its orderliness and as such, it’s very safe and easy to get around. Many visitors begin in Tokyo then work southwest, which is easiest done by booking an organized tour. Tokyo is a city that can take weeks to discover, with its zen gardens, futuristic skyrises, temples, shrines, shopping, and food. If the rush of the city gets too much, Japan Railways can whisk you out of town on a bullet train to more zen spots such as Mount Fuji, dreamy Kyoto, and the beaches of Fukuoka. Wherever you decide to go, there are some important things to remember. First, bring cash. Many businesses do not take credit or debit cards and ATMs can be unreliable. Second, if you’re a smoker, be aware that Japan has very strict rules about smoking in public and if you break the rules, you could be spending that cash on a hefty fine. Third, if you have tattoos, you may not be allowed inside spa establishments. Tattoos aren’t very socially acceptable in Japan, so if you plan to soak, you may have to pay extra to do so in a private onsen room. If you’re not sure, just ask. The locals want to be sure you enjoy your time in Japan and with a little insight into their culture, you’re sure to do so. If you’ve got a fascination with Old World elegance, and a pretty penny to put toward your first solo foray, noble Switzerland is a list-topper. It’s easy to navigate, extremely safe, and has incredible sights, however, it’s one of the most expensive destinations in the world. In Switzerland, a Big Mac costs around $12. But for solo travelers, the cost may be worth the ease of travel. Though food, accommodations, and fees may be expensive, Switzerland has the densest public transport network in the world. A Swiss Travel Pass allows you to travel across the country by multiple modes, including train, bus, and boat. The pass includes travel on premium panorama trains (advance reservation required), all public transit, free admission to over 500 museums, and 50 percent discount on mountain tours. This makes it a breeze to take in the breathtaking views of the Matterhorn, stroll the romantic covered bridge at Lake Lucerne, wander the medieval castles of Geneva, peruse modern art in Zurich, or relax in the Mediterranean warmth of Italian-speaking Ticino region. Don’t forget your water bottle because refreshing and safe spring waters gush from public fountains around the country. 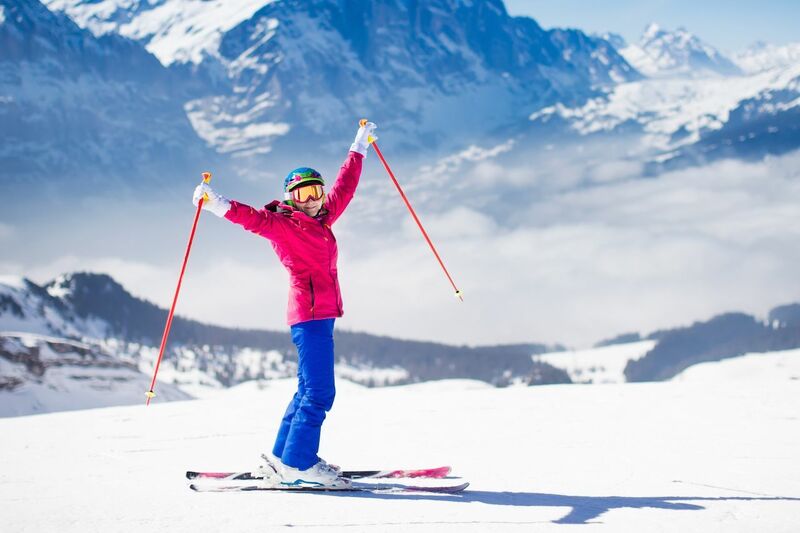 If you have some money to spare, a solo trip to Switzerland will likely be the most luxurious self-care you’ll ever indulge in.